The following activities are events that expand the volunteer base in east central Illinois while having a sizable impact on the spread of invasive plant species on public lands. Prescribed burns are led by certified individuals with participation from natural resource management groups and volunteers. Site stewards and resource managers lead weekly workdays to target invasives at optimum times during the year. Check the HIPP calendar for details. Training on identification of key invasives plants and the application of herbicides. This training will satisfy the requirements of Illinois Pesticide Act Section 250.22 - Special Application of Herbicide to Control Invasive Plants on Public Land. Includes panel discussion with Volunteer Stewards - Why and How to Become One and second presentation "What Follows Invasive Removal - Native Trees & Shrubs". An artistic installation in downtown Champaign, at Main St and Neil St, that demonstrates during invasive species month how invasive plants can spread if unattended. Brochures available to the public. 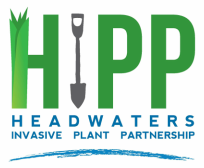 HIPP Program Coordinator position has been filled! Pending the signing of contracts, HIPP has been awarded $436,000 in funding toward landowner conservation practices through the Natural Resources Conservation Service's Resource Conservation Partnership Program. We will also look to expand our services and increase stewardship in public natural areas with the help of a Coordinator hired with an award of $75,000 through the National Fish and Wildlife's Pulling Together Initiative. With these awards, in combination with the great work all of our partners are doing every day, It's an exciting moment in time for ecological restoration in east central Illinois! HIPP invasive brochure published in print and online summer 2017. 35 prescribed burns covering 466 acres performed by members during 2017.